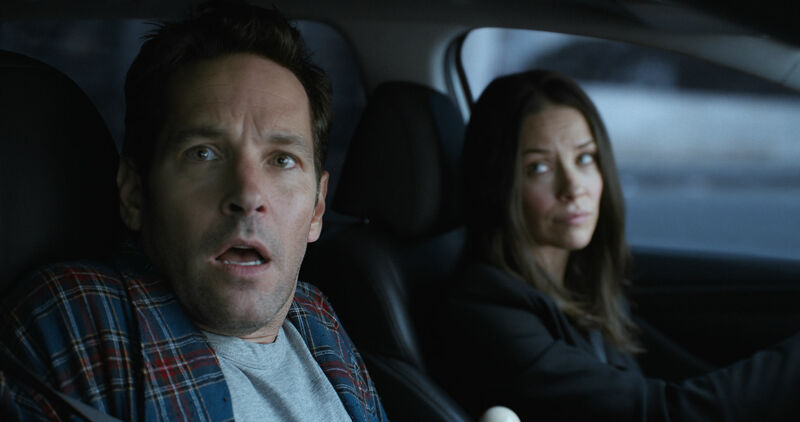 Ant-Man may be one of the weaker additions to the Marvel Universe, but we've seen worse (Thor 1, Thor 2, Iron Man 3), and it did what it did fairly well, even if that isn't rousing applause. It was fun and funny, a throwback to the origin stories that started the whole shebang, a good time had by all. But there were some flaws, and they matter because they were invited back for the sequel. 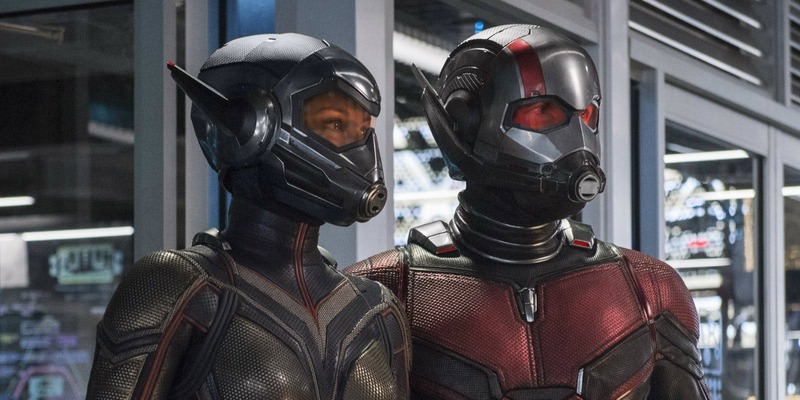 Ant-Man and the Wasp is #20 in the MU, a benchmark, a bid deal, and yet it feels thrown together without much thought to what worked the first time and should be repeated, what was stupid the first time and should be left out. In other words, it's almost as if studios and sundry weren't trying to make the best product, that they were simply trying to make money; shocking, I know. Ever since Scott's big stunt on behalf of Cap (size pun intended), he's had to keep a low profile. Actually, he's been on house arrest and can't leave his living room. He's sworn off hero duty, Hank and Hope aren't speaking to him since he got them in trouble too by using their tech, and generally life stinks. But it's about to be time to get back in the game. Scott has a dream in which he's back to subatomic size in quantum space, and he hears Hope's mom Janet's voice in his head. Maybe she's still alive in there, maybe not, but he has to let her family know. But apparently they already do, and are attempting to get her out, but at the same time as a crook named Burch wants to steal their gadgets and a woman called Ghost wants to seize their energy. Why can't things just be easy? Here's the problem, or rather, who's the problem; Hank and Hope. While the first film was super fun, Michael Douglas and Evangeline Lilly were the obvious low points throughout, with the movie working despite them. Their acting was bad, they didn't fit the mood, MD is nearing 80; whoever cast/wrote them in should have been fired. At the very least, they shouldn't have had parts in the sequel. Well, OK, not big parts anyway. Oh Jesus, not LEAD parts that drove the entire action of the film! You see where this is going. They were featured, had huge parts, were pivotal roles, but still completely sucked. It's like they intentionally took the worst part of the original and exacerbated it just because they could, because they would still make money regardless, laughing to the bank all the while. Maybe that's silly, maybe they simply thought MD and EL were good, even though they clearly aren't. Had they had small roles, things could have worked rather nicely, because they did actually, whenever the action wasn't focused entirely on them, which wasn't often. Paul Rudd is charismatic, Michael Pe�a was back with his phenomenal character, the CGI was cool, things worked quite well when allowed to. But then we were back with the Pyms, had to watch Michelle Pfeiffer's frozen features, had to witness Walton Goggins' wasted talent as he attempted to make a ridiculously one-sided villain seem interesting. So yeah, there were a lot of problems with the sequel, specifically problems that could easily have been avoided. Otherwise; the action flows nicely, the gadgets are cool, Ghost is an interesting character, there's a ton of comedy, positives emerge in spots. 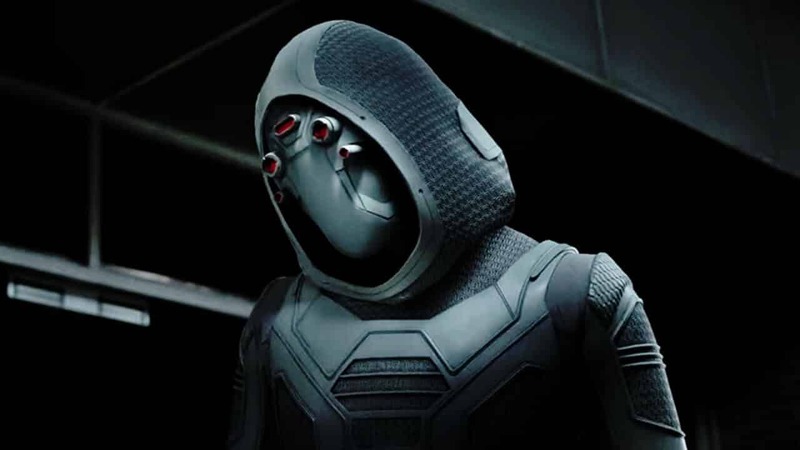 I simply wish that Peyton Reed could have more clearly seen what the strengths and weaknesses of his story were, and that he would have done something more intelligent to approach them.